Sea-licious Omega-3 High EPA is a high-potency liquid blend of EPA- and DHA-rich fish oil for superior cognitive and heart health. This highly concentrated formula contains 1770 mg of EPA per teaspoon plus vitamin D3 in a delicious lemon mango flavour with no fishy aftertaste. 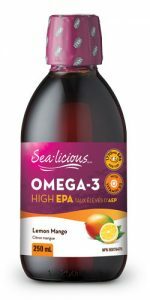 The high concentration of the omega-3 essential fatty acid EPA (eicosapentaenoic acid) in Sea-licious Omega-3 High EPA is particularly helpful for counteracting inflammatory reactions throughout the body. This includes reactions caused by oxidative stress in brain tissue and those that cause painful symptoms, such as rheumatoid arthritis in the joints. EPA and DHA (docosahexaenoic acid) are both required for cardiovascular and overall brain health including cognitive, mental, and structural function. They are transformed into prostaglandins, which act like hormones to help regulate the body’s inflammatory response by inhibiting the release of inflammatory proteins. 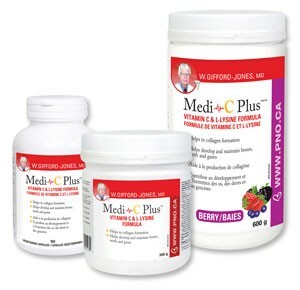 They also promote the dilation of blood vessels and provide anti-arrhythmic benefits for cardiovascular health. The cause of a wrinkle is a “gap” in collagen. The more gaps, the more wrinkles. Why does it happen? Simply put, aging. Look at the statistics. Collagen production begins to decrease at age 21. By the age of 40 the decrease is about 1% per year. But it’s not all doom and gloom. Quite the opposite. 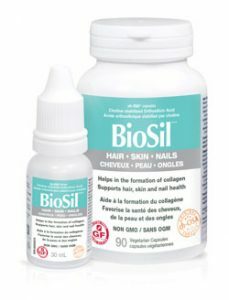 Clinical trials now prove that ch-OSA (Biosil)turns on the cells in your body that generate collagen (fibroblasts). In fact, the women taking ch-OSA saw a statisticallysignificant 30% reduction in wrinkles over their counterparts who took a placebo (sugar pill). The researchers directly attributed these results to an increase in the formation of skin collagen! 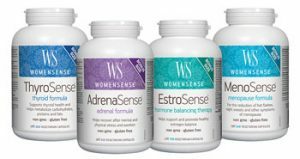 Everything women of all ages need for… Healthy Hormones! women through various changes in life, ranging from mental or physical stress, to changes in hormones with age. 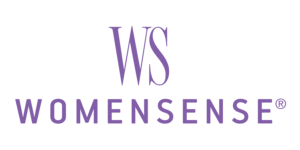 All of the WomenSense products are free from common allergens and GMOs. Energize your day with a boost of healthy fats! 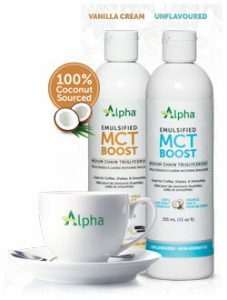 Alpha® MCT Boost contains emulsified medium chain triglycerides – so you can skip the blender. Simply stir into coffee, juice, smoothies, or tea, to give them a rich, creamy, and delicious boost of energy. Medium chain triglycerides are the most beneficial fats found in coconut oil. Vitamin C is arguably the single most important water soluble antioxidant in the human body. Antioxidants play a key role in protecting cells against free radicals, which can cause damage and play a role in heart disease, cancer and other diseases. High doses of vitamin C and lysine cannot only prevent, but reverse atherosclerosis in coronary and other arteries in the body. Vitamin C is required to manufacture healthy collagen, the glue that holds coronary cells together, just like mortar is needed for bricks. Lysine, like steel rods in cement, makes collagen stronger. A lack of vitamin C means poor collagen, resulting in cracks appearing between coronary cells thus setting the stage for a fatal blood clot.